We are currently in the most beautiful month in Chicagoland, but winter is not far away. A frequent question that we get is around high energy costs in the winter, and how to address it. First, lets look at the normal usage of energy in Illinois. Typical buildings have gas forced air or hot water heating, so electric usage in the winter is actually lower because of the lack of AC costs. This is the normal trend, so if you have high winter electric bills, it likely means one thing - electric heating. 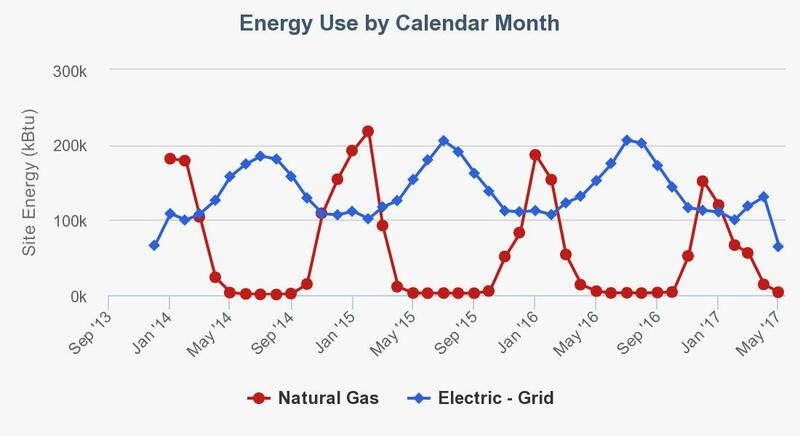 As you can see, electric usage drops in the winter as gas usage spikes seasonally - logically this makes sense. There are fans being used to push the air around the space, but not nearly the high wattage draw of an air compressor on a AC unit. Electric heating was a trend in the 60s and 70s, when huge buildings were being built and the assumption was that electric costs would be cheap forever. That trend was stopped when electricity prices rose in the late 70s. Electric heating is 100% efficient in the theoretical conversion of electricity to heat. However, that electricity is created by a source far away, and by the time it reaches your furnace it has lost at least 20% of the original energy. If that source was natural gas power plant, you would be at 80% efficiency at the best. However, electricity is more expensive than natural gas at the moment, so that would make it expensive to use for heat. The US is definitely a place in the world with abundance of natural gas. 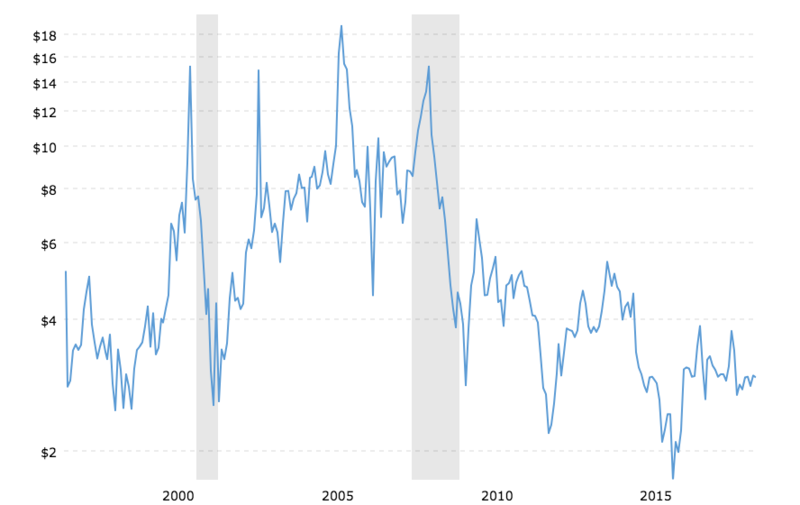 It is also close to a historically low price as of late, with likely no place to go but higher in cost. Is it worth converting electric heat to gas heat? In an short answer, no. In a longer answer, it can depend. Replacing infrastructure is incredibly expensive, so it can take a ton of time to recoup that cost when converting. It is far better to spend your money on energy efficiency measures, instead of changing the fuel source for your heat. Next Comed Rates in Illinois - Should I Switch Suppliers?